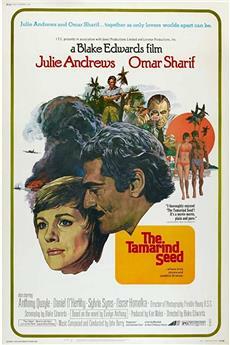 The Tamarind Seed is a movie starring Julie Andrews, Omar Sharif, and Anthony Quayle. 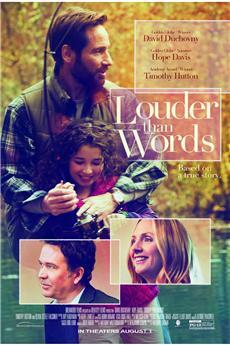 During a Caribbean vacation, a British civil servant finds herself falling in love with a Russian Agent. It&#39;s been years since I saw this film so have forgotten many of the plot details, but this beautiful romance has lingered in my mind for three decades. It&#39;s a movie with everything...intriguing suspense thriller plot, beautiful exotic Caribbean setting, and especially of course the compelling love story of two sympathetic characters from opposite sides of the Cold War.<br/><br/>The tale begins with a British Home Office assistant, Judith Farrow, who has gone to Barbados to recover from a failed love affair. During her tropical holiday, she meets Feodore Sverdlov, a handsome Soviet air attaché in Paris. They visit the colorful island sights together and fall in love. This paradise romance is, however, complicated by their respective positions with governments on opposite sides of the Cold War. Thus, these two individuals of integrity are forced into deception (alleged spy recruiting) in order to disguise their relationship. Perhaps Sverdlov will even be inspired toward defection? Above all, their ill advised love can only spell danger.<br/><br/>For me, this movie is made memorable by its two stars, Julie Andrews and Omar Sharif. This is my absolute favorite Julie Andrews film. She is at her most radiant here portraying Judith, a beautiful, intelligent, lonely, vulnerable, yet quietly strong woman. She is quite magnificent in her role even without the usual musical aspects. Omar Sharif plays surely Russia&#39;s most magnetic, handsome, and compelling diplomat. His dark brown eyes alone would thaw the Cold War! It is absolutely believable that these two principled, intelligent individuals would fall in love. They are perfect on screen together, mature yet captivating.<br/><br/>The film reflects its era, with the dominance of Cold War issues the subject for most plots involving international intrigue. Here, however, the Russian star is refreshingly not the enemy or the villain of the piece, but rather instead its romantic, noble, and conflicted hero. The pair reveal their own moral views, sometimes contrary to their country&#39;s official positions. Julie Andrews appeared earlier in Torn Curtain, the 1966 Hitchcock Cold War thriller which also starred Paul Newman, but I much preferred this movie since it focuses more on character portrayal and romance.<br/><br/>No, not a James Bond action adventure or a spy thriller really, more rather an exotic and dangerous romance with some intricate, suspenseful plot details. A high recommendation for this wonderful old fashioned movie...a perfectly cast, touching &amp; intelligent jewel, and a film which unfortunately appears to be little known these days. This movie is not highlighted in any discussion of the careers of either Julie Andrews or Omar Sharif, but it&#39;s a jewel. It has romance (the subtleness of which is very effective without constant bedroom scenes), intrigue, espionage, exotic locations, a multi-layered plot and plenty of suspense. You do have to pay close attention to keep up with the rather complicated story, but it pays off. The &#39;70&#39;s clothing and hair styles are amusing, and the Russians are no longer the &quot;bad guys,&quot; but those facts don&#39;t detract from the great storyline. Andrews and Sharif make a very attractive couple, and play their parts perfectly. 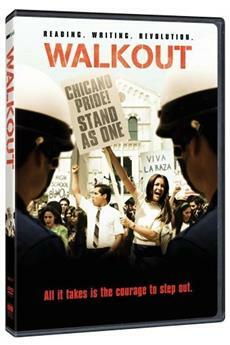 In fact, everyone turns in a fine performance in this, one of my favorite movies.